Suitable age: 18 months to four years old. This activity was created by Clares Little Tots . 5 Fun Activities To Do With Your 6 Month Old If you have ever googled "What to do with 6 month old baby", here is the right answer for you. 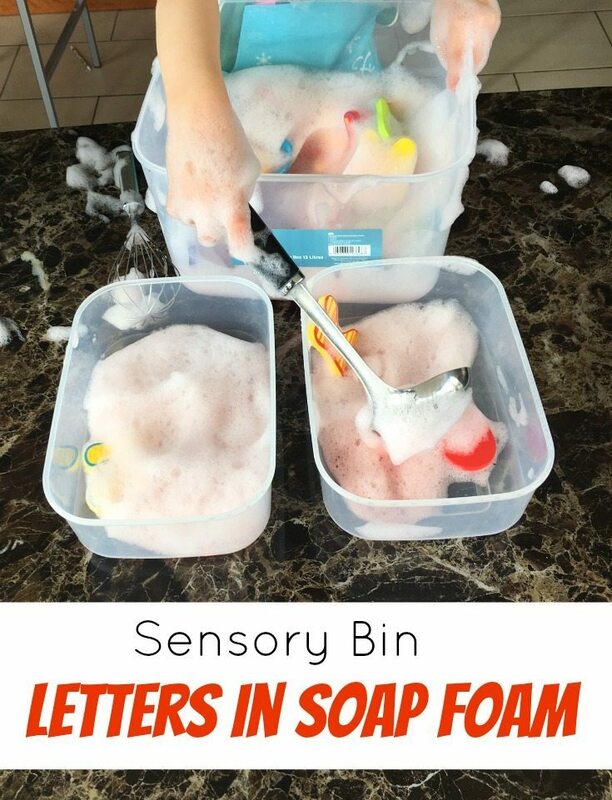 Letters in soap foam is a great activity, however I would use small toys and objects instead of letters for a child below 21/2-3 years old. Learning letters, colors, numbers, and sound-letter corespondence is not so important below age three, but using objects will help to practice saying those words as well as working on vocabulary development !